The OSPAR Commission for the Protection of the Marine Environment of the North-East Atlantic (OSPAR) and North-East Atlantic Fisheries Commission (NEAFC) met to discuss collaboration regarding the management of human activities in the high seas, including a new marine protected area and measures for sharks. The meeting also discussed options for strengthened North-South cooperation between OSPAR and NEAFC with regional organisations in the South-East Atlantic, most notably the Abidjan Convention as well as respective fisheries management bodies. The meeting was joined by representatives from ICCAT, NAMMCO, Abidjan Convention, Cartagena Convention/ UNEP, ICES, Seascape Consultants and IASS. Sebastian Unger of IASS, along with Carole Durussel and Ben Boteler, presented the ongoing and future work of the Partnership for Regional Ocean Governance (PROG) and the STRONG High Seas project. 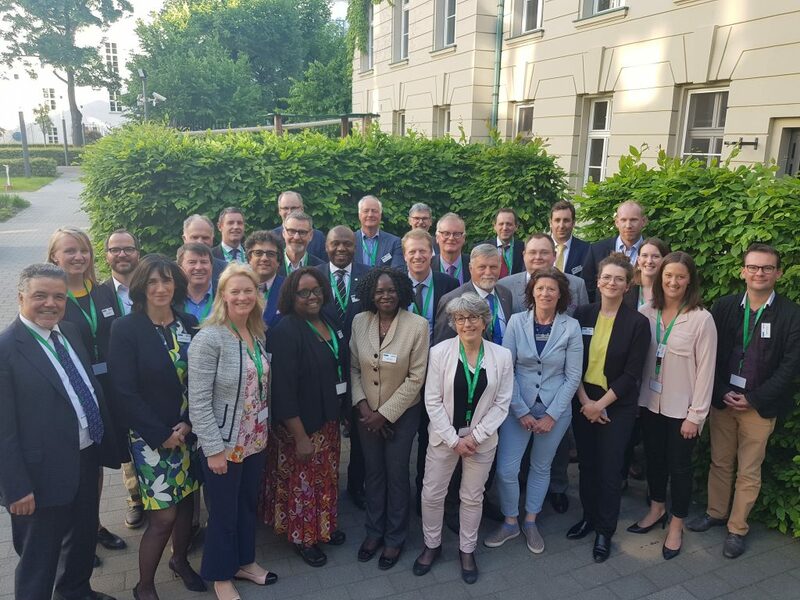 As part of the PROG, the PROG Marine Regions Forum is planned to be held in Berlin in the fall of 2019 and will bring together key actors from science, policy and the private sector to co-develop proposals for boosting ocean governance through regional solutions. At the meeting, he also highlighted the work of the STRONG High Seas project and its focus on strengthening ocean governance of marine regions such as in Southeast Atlantic. The interconnectedness of the Atlantic region suggests that there is a need to not only share information, data, and best practices across marine regions and organisational bodies, but also to collaborate on shared challenges and across sectors.